Is Opinion Outpost Legit and Safe? What is Opinion Outpost? Is Opinion Outpost a scam? I can tell you that Opinion Outpost is definitely a legit survey panel. Whether if it is a worth trying program, I will let you decide after reading my honest review on Opinion Outpost. Referral Program: $2.00 per referral. Similarly with Survey Club, Opinion Outpost is an online survey panel based in Shelton, Connecticut. It is owned by Survey Sampling International. Just like any other survey panels, Opinion Post is just another platform for people to participate in surveys and earn some commissions from filling up the invited surveys. Not everyone around the world gets the opportunity to participate in their program as it has geographical restrictions. Opinion Outpost only works in the UK, US, and Canada. People who live in these three countries above, you can sign up as members as long as you are 13-year-old or older. (Note: Opinion Outpost UK seems to offer a more reasonable reward as compared to Canada and the USA). It is fairly easy to sign up as a member of Opinion Outpost. Go to the official site, enter your personal information and confirm your email address. Upon confirming the validity of your email address, you will be required to provide member profile. The key is to fill up your personal information as detailed as possible as they will screen your profile and make sure that you are qualified for particular surveys. Opinion Outpost is rated one of the best survey panels in the market as they pay on time. Opinion Outpost uses “Opinion Points” system and it can be converted to cash and other incentives like gift cards (Amazon gift card claim codes, iTunes gift cards). There is one worth mentioning payout form is you can claim 300 miles with 105 Opinion Points under the MileagePlus Award program. I personally think mileage claim is very attractive for people who fly a lot. The minimum cash out amount is $10 (100 points) and it is paid almost instantly via PayPal. The minimum redemption of Amazon gift card is 50 points. I would like to highlight to those who are interested that members have to take at least one survey every 3 months to keep the validity of the Opinion Post points. (+) It is absolutely free to participate in surveys. (+) Their payout is on time and almost instantaneous. Furthermore, their minimum redemption and encashment thresholds are relatively lower as compared to many other survey panels. (+) It is one of the best survey panels in the market. It has been rated the “Top 10 Best Paid Survey List” on getpaidsurveys.com. (+) Members of Opinion Outpost are eligible to participate in their quarterly cash giveaways of up to $10,000. That adds up to $40,000 per year! The chances to win these cash giveaways are extremely slim. I suggest you work towards the $10 commission payout. (+) Their surveys are very diverse. They range from different themes, durations and point rewards. In average, you probably get 2 survey invitations per day. (Tips: If the surveys do not have any indication of the Opinion Outpost point, skip them. Normally these types of survey take longer time and most of them have relative lower points). (+) I simply love the mileage claim system. It allows people to earn some air mileage through survey participation. It is of course not easy to achieve enough points to claim for an air ticket, but people, at least, have more options to claim their mileage other than spending a certain amount of money with their credit cards. (+) Opinion Outpost survey lengths and points are clearly stated. In that case, you can evaluate and decide if the survey is worth doing. (+) It is good to know that Opinion Outpost does not spam your inbox and send you a lot of advertising emails. (-) There is no mobile App for Opinion Outpost. I do not think it is a disadvantage as their website is well designed, in which the dashboard fits perfectly onto smartphones and tablets. (-) It could be some technical issues with the dashboard as people have also complained that they Opinion Outpost points were not credited upon finishing the survey. (-) Worst of all, some users complained that they were screened out in the middle of the process of filling up the survey. Some say it only notifies the users after five to ten minutes. Is Opinion Outpost Safe? Opinion Outpost is more than a safe program. It is a legit survey company and there is no doubt about it. Some say you can make a decent income from Opinion Outpost. It depends on your definition of “decent”. I personally think it is not my way of earning money online, simply because I prefer affiliate marketing than filling up surveys that do not offer flexibility and low potential earning opportunity. In my opinion, if you want to earn some extra money during your free time, it is definitely better than Survey Club and Survey Savvy. 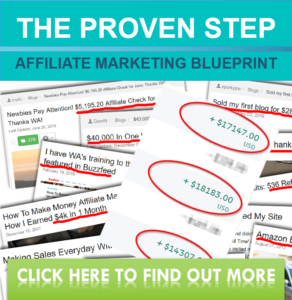 If you are looking for a way to earn sustainable online income, a way to make real money from home, and a way to unlimited earning opportunity, you should look into other alternatives. I encourage people to blog as everyone has an equal opportunity to make money via blogging. If you are wondering and want to find out how one can make money from blogging, you should read my post on “Why Should I Seriously Consider Running a Blog?” and “Earn Money as Affiliate Marketers“. Thanks for giving “Is Opinion Outpost Legit and Safe? My Honest Review” a read. Hope you now know better what is Opinion Outpost. What Is Only Cash Surveys – Get Cash For Surveys? It certainly sounds like one of the more fair survey sites out there at the moment. When I first started out earning online I used many sites like this but after about 6 months I tired of the low earnings and glitches. I also noticed that their referral program is only set at $2 a referral – not much is it? Not really worth promoting? In general, survey site is not really worth spending your time if you are wishing to make a passive income online. Well, there is a trick in the refer a friend program. You will earn the referral commission ONLY when they join via your custom link and completes a survey. You can earn up to 5 dollars in the refer a friend program. There is a cap. That is the reason why I do not promote this product. Not worth my time. Next story WP Blog Rocket Plugin Review | Is it Worth?